The 16.25" deck width makes it highly maneuverable and great for tight spaces, around swimming pools or for smaller yards, and you can cover up to 3,200 square feet on a single charge, depending on operating and battery conditions. Need to cover more ground? The STIHL battery can be easily swapped out and recharged in less than 30 minutes with the optional rapid charger. 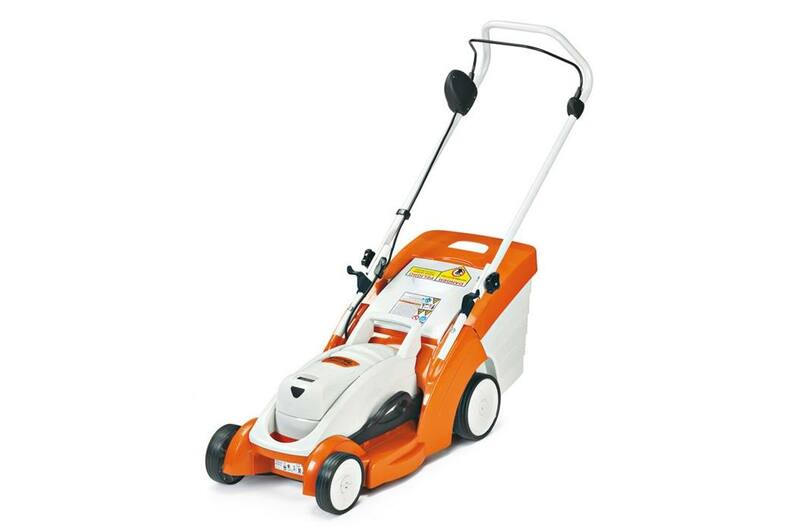 With a high-grade steel blade and five settings for cutting height, you can give your lawn a clean, healthy cut at lengths ranging from approximately one inch to three inches. And the combination of the blade and the fan wheel above it create a strong air current which lifts the grass for a better, cleaner, more precise cut. 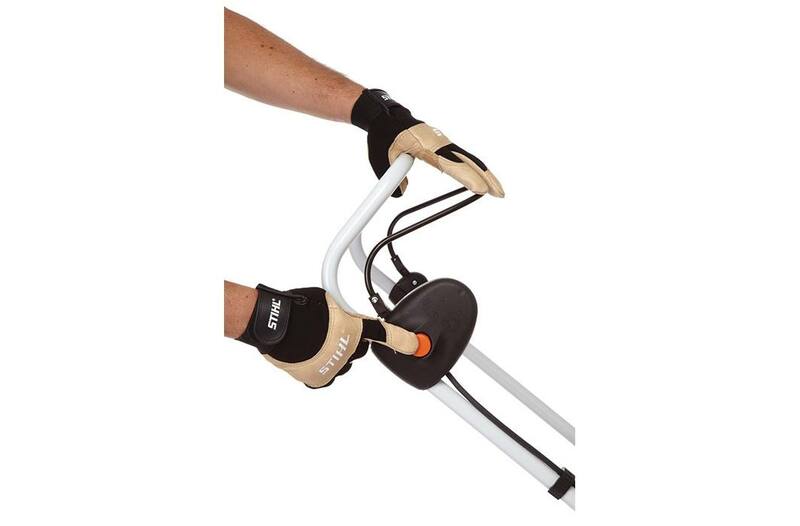 The easy-to-empty grass catcher holds up to 10.5 gallons of clippings - and the built-in indicator lets you know when it's time to empty; or use the optional mulching attachment to put natural nutrients back into your lawn. 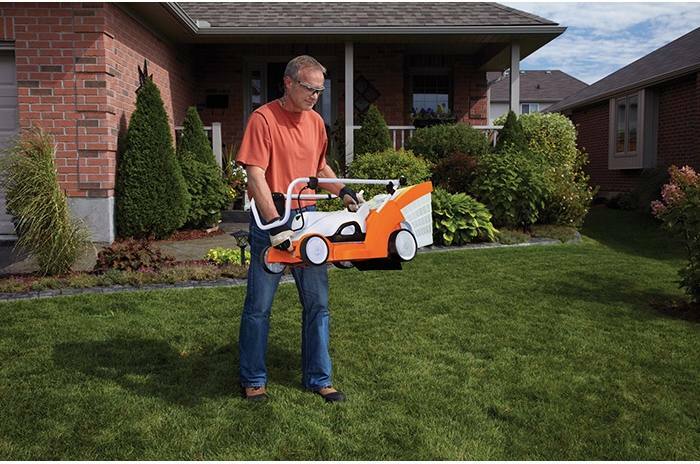 And when you are done mowing, the handles fold up for easy storage in a 41" x 17.5" x 20" space (with grass catcher). 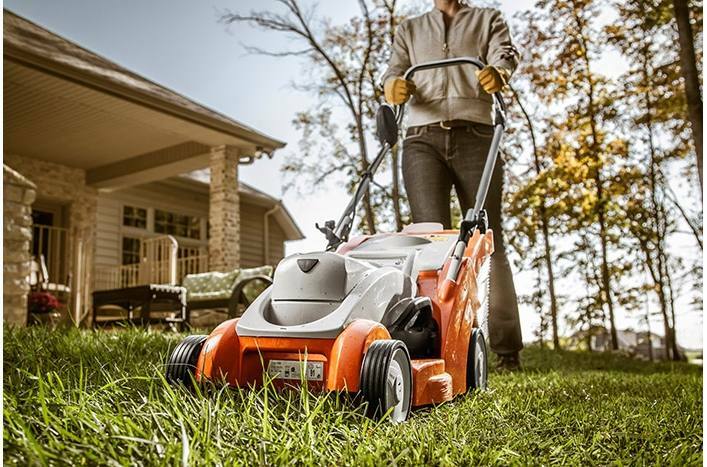 STIHL is leading the way in new technologies, and the STIHL Battery-Powered Equipment and the RMA 370 lawn mower are just a couple of examples of how we're doing it. To see the system for yourself, visit a STIHL Dealer. They're professionals who can answer your questions, help solve your landscaping challenges, and service your equipment. Convenient Handle: Lightweight (only 27 lbs.) with folding handles, making it easy to transport and to store. : See it in action! Cutting Height: 1.2" to 2.8"